Hair follicles play a big part in the health of your skin and hair. When bacteria and sebum get trapped together in one of the follicles on your face, you’ll get a pimple unless you scrub it clean before it can form. If your hair follicles on your scalp get clogged, it can actually stop the hair follicle from coming to the surface. This can lead to thinning hair since the follicles aren’t able to grow and cycle as they should. There are a few ways that follicles become clogged and stop your hair from growing. Once you’re familiar with the causes, you can take a few easy steps to stimulate hair follicles and prepare the scalp to start growing hair. One of the main ways that your follicles get clogged is from your body’s natural sebum production. Some people simply produce more sebum than others. Sebum becomes a problem when it combines with dirt, chemical residue, and dead skin cells and gets inside your follicle. 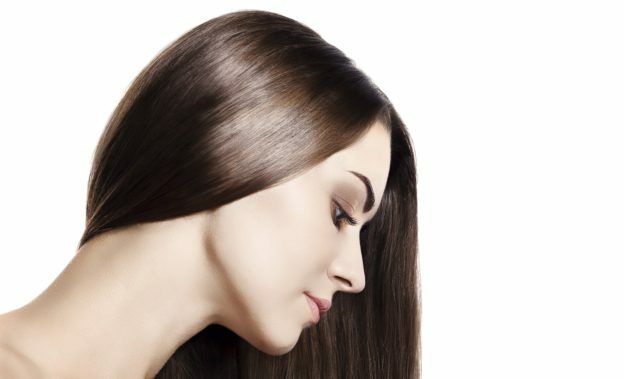 Everyone has some dirt and dead skin cells on their scalp, but heavy users of chemically infused hair products will usually have an added level of gunk that your hair can’t win against. A few clogged hair follicles isn’t noticeable, but it can be a real problem if left untreated. It can be tough to understand why you’re losing your hair even if you haven’t made any changes to your diet or lifestyle. If you think you may be losing hair due to clogged hair follicles, here’s what you can do. One of the easiest ways you can prevent unnecessary buildup is by using natural hair products. Take a look at the products in your bathroom. If the first ingredient is something other than water, then it probably is not helping your clogged hair follicles. Look for a shampoo and conditioner that is infused with nutrients and hair growth vitamins like Biotin and Zinc. And just because something claims it is all-natural, doesn’t mean it is. Make sure your products have clinically researched ingredients for the best chance to reactivate the hair growth process. If you’re wondering how to prepare the scalp to start growing, look no further than essential oils. Essential oils are the most effective ways to stimulate the scalp and encourage emerging hair follicles to continue sprouting. When massaged into your scalp, essential oils improve circulation and get the blood flowing to your hair follicles. They will also remove sebum from the scalp without over-drying. Essential oils also naturally cleanse the scalp, and certain oils have additional benefits to improve your overall hair health. For example, lavender oil is an antibacterial that can soothe irritation while also leaving a relaxing scent that can help reduce stress and tension. Experiment with a few different essential oil combinations to see which you prefer. Here are the essential oils for thicker hair that we love! If you truly want to work out your hair growth and hair clogging problems from the inside out, it all starts with your diet. If you’re eating greasy, unhealthy fats, your skin will show it. Your scalp will be much more oily and more likely to attract bacteria that clogs your follicles. Replace greasy foods with healthy fats like nuts, seeds and fish. They will give you more energy, and help manage your sebum production. Also, make sure you’re eating enough fiber. Eating processed foods with little to no fiber can cause a clogged digestive tract. When that happens, you can’t get rid of wastes as efficiently, and these toxins start to come out your skin in the form of oily sebum. Stay hydrated and eat like you should. With a consistent diet, you won’t have to worry about how to initiate the growth phase of the hair follicle because it will happen naturally. You should be able to tell when your scalp needs a cleansing. Be sure not to overdo it, as a dry scalp can actually cause you to produce more sebum. Happy follicles, happy hair.